The Kowa Company has been around since 1894 and has in that time grown into becoming the 5th largest trading company in Japan. Now a multi-national company, Kowa have a presence in the world's three largest markets, Asia, Europe and the Americas. The Electronics and Optics division of Kowa began producing quality spotting scopes in 1952 where they were designed to be used in shooting events and were the official spotting scope used in the 1964 Tokyo Olympic Games. It was not long after this that they were discovered by bird watchers and became very popular throughout the world. With this success Kowa took much of this technology and applied it to other forms of optics including binoculars. 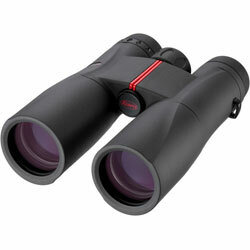 Kowa binoculars are now some of the finest produced anywhere in the world. As well as the Electronics & Optics Division Kowa have a Pharmaceutical Division, Textile Division and the Non-Textile (General Merchandise) Division. Kowa established itself amongst birders and nature lovers with their excellent line of Kowa TSN spotting scopes which are very highly regarded, this then spurred them onto producing very high quality binoculars most of which are aimed at birders and nature viewers. Prominar Genesis Series - alos sometimes known as XD Binoculars, contain Kowas flagship binoculars, including the excellent Genesis XD44 Binoculars (8.5x44 and a 10.5x44) and the new Genesis XD33 Binocular Series (8x33 and a 10x33) that are intended to challenge the high end contenders of Zeiss, Leica, Swarovski and Nikon. 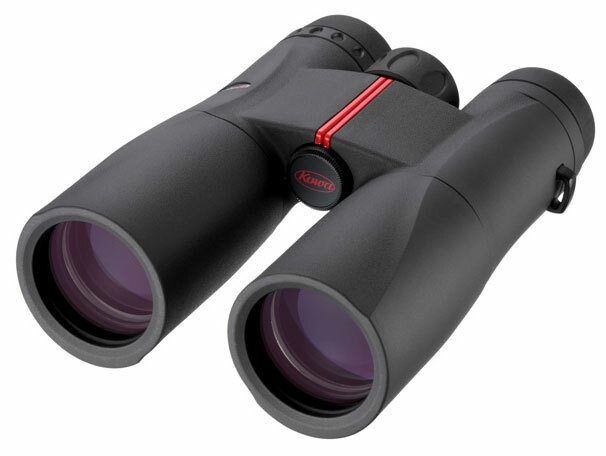 BD42 Series Binoculars - Come in 8x or 10x magnifications that are high end binoculars that Kowa describe as "an ideal companion for bird watching or any other outdoor activity that requires a bright image and a wide field of view." Kowa SV Series Binoculars - These are more affordable binoculars aimed at the price concious observer, but still come with many of the high end features found on more expensive models. 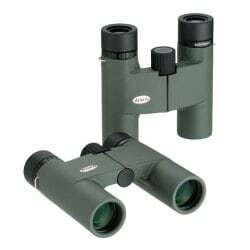 BD25 Binocular Series - Thir compact series of 25mm roof prism binoculars with two different magnifications (8x25 and 10x25) which are not only very compact and portable, but also very popular. 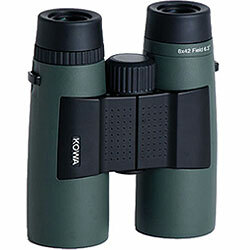 Kowa YF Series Binoculars - These are Kowa's value for money mid-sized porro-prism style binoculars that have the advantage of an exceptionally wide field of view as well as fully multi-coated lenses for bright views and a fog and waterproof construction. You will often see the Prominar brand name used with high end Kowa Binoculars and their spotting scopes, this is because on some models, including the Popular Genesis binoculars, Kowa use the very high spec XD Lenses from Prominar. Due to copy write reasons the Kowa Genesis binoculars were called XD binoculars in Europe, this I think has now been sorted, but you will still often see it referred to the XD series in Europe. 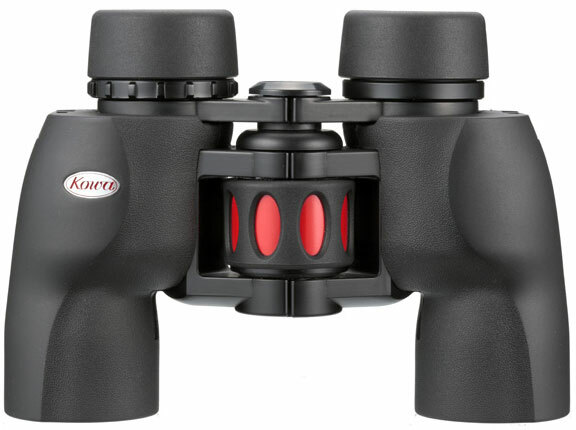 Roof Prism Binoculars, designed to take on the high end of the market, competing with brands like Zeiss, Leica, Swarovski and Nikon the Genesis range of binoculars come in two different objective lens sizes, each with two different magnifications. 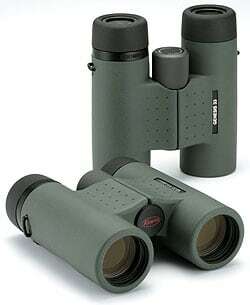 The specifications of the Prominar Genesis XD44 binoculars are impressive: Produced in Japan, the binoculars have an objective with 4 lens-elements (two of them made of Prominar XD lenses, made from extra low dispersion glass), a 5 lens-element ocular, and the Schmidt-Pechan prism system contains a dielectric reflective surface with C3 Coating and 99% reflectivity. A close focus of 1.7m is specified, and there exists a filter thread at the objective end which takes standard 46mm photo filters. The entire construction is embedded into a magnesium alloy frame, is fully water proof and nitrogen filled. If there has been one slight criticism, then it is the weight. The newer Genesis XD33 Series was developed in a response to customer feedback where many felt that whilst the Genesis XD44 Binoculars were fantastic, they were too heavy for some people. These are far lighter than the XD44's, but maintain the quality Prominar XD lenses, Schmidt-Pechan prism system with Kowa's own C3 Coating, for a brighter sharper image. They have reduced the magnifications slightly to a more conventional 8x and 10x and thus have increased the fields of view, making them ideal birdwatching binoculars. Even though the BD Series is Kowa's second string, placed just behind the Genesis models, it could easily make up the flagship series of many other optical brands. This is because unlike many other binocular manufacturers, Kowa don't make a huge selection in regards to quality and price, rather they have decided to stay true to their ideals by focusing at the top end of the market with only two main ranges, the Genesis and the BD series of binoculars. The biggest differences between the Genesis and BD is in the styling, and the absence of Kowa's Prominar XD lenses that contain extra low dispersion glass in the BD series. The full size Genesis models also have larger 44m objective lenses compared to the more standard 42mm ones found on in the BD Series. The BD42 Series binoculars from Kowa come in 8x or 10x magnifications which they describe as "an ideal companion for bird watching or any other outdoor activity that requires a bright image and a wide field of view." Fogproof- Barrels are filled with nitrogen gas to inhibit internal fogging. Kowa packed important and desirable features that optics users demand into the SV binocular, yet kept the price affordable. Fully multi-coated lenses with highly reflective coatings on the phase corrected roof prisms provides you with bright views and enhanced resolution and color contrast. Twist-up eye cups, rubber armoring, waterproofing, and fogproofing make the Kowa SV a comfortable and reliable choice for lots of activities. 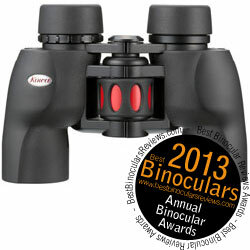 Kowa provides a limited lifetime warranty for this binocular. Fully Multi-coated Lenses	Increase light transmission with multiple anti-reflective coatings on all air-to-glass surfaces. 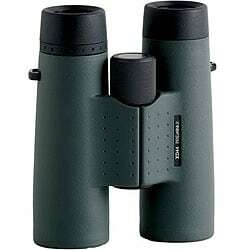 Becuse of their compact size, combined with quality optics, they are very versitile and can be used for numerous applications, including sporting events, hiking,	traveling, and bird watching.. but also with a close focus of only 6 feet (1.8m) they are also ideal for close observation of things like plants and insects. All lenses and prisms are within the binoculars are fully multicoated and the prism is phase-coated producing images that are sharp and have excellent contrast. Fully waterproof and filled with nitrogen gas, they also come with twist up eyecups that have good eye relief for comfortable viewing. The main feature of Kowa's value for money mid-sized porro-prism YF binoculars are that they come with a exceptionally wide field of view: The 6x30 model has a FOV of 420 feet at 1000 yards and the 8x30 model has a FOV of 393 feet at 1000 yards. Both YF Series binoculars also come with fully multi-coated lenses enclosed in a lightweight (under 500g/17.6oz) and fairly compact waterproof and fogproof housing. Water and Fogproof as they are filled with nitrogen gas to inhibit internal fogging.